Natural hair care, homemade moisturizers, and chemical-free household cleaners are all things that we are making in order to clear the toxins from our homes! But aluminum-free deodorant — one that actually works — that can be difficult to replace. As luck would have it — in the quite of my kitchen — I created a homemade, organic deodorant that is truly amazing. My whole family made the switch months ago and we’ve never looked back! In fact, you can learn how to make that Probiotic Deodorant by clicking here for the recipe. Why Make and Use a Homemade Deodorant? There are hidden dangers in the active ingredients of conventional deodorant (i.e. Aluminum, Parabens, Propylene glycol, Phthalates, and Triclosan). Current research shows a strong link between anti-perspirants containing aluminum and breast cancer, birth defects, allergies, and hormonal imbalances. These potentially hazardous chemicals have no place in our homes and certainly no place under our arms. We all know that our skin our body’s largest organ — and just as we are so careful to watch what we eat and ingest, we must cautiously monitor that which comes in contact with our skin. If you wouldn’t eat it, it probably doesn’t belong there. Anti-perspirants…ew. Why not let the body do what the body will do? I believe that when we attempt to inhibit the natural functions of the body we negatively effect the rhythms created for a purpose. It was primarily these concerns that lead me to create my own solution. And I believed in the recipe so much so that I began to give it away to friends and family. Everyone came back with positive feedback…however, there were a few of those — the more sensitive skin types — that reported an irritation to my concoction. That’s when the Homemade Herbal Deodorant was born! If you generally have more sensitive skin — and let’s face it, even if we don’t our arm pits are pretty tender areas — herbal deodorants are wonderfully effective alternatives simply because they hold such strong anti-bacterial properties. After receiving mounds of positive stories regarding the efficacy of this product. I am very excited to share with you my recipe! That’s right, today you can learn how to make your own Homemade Herbal Deodorant. 1. 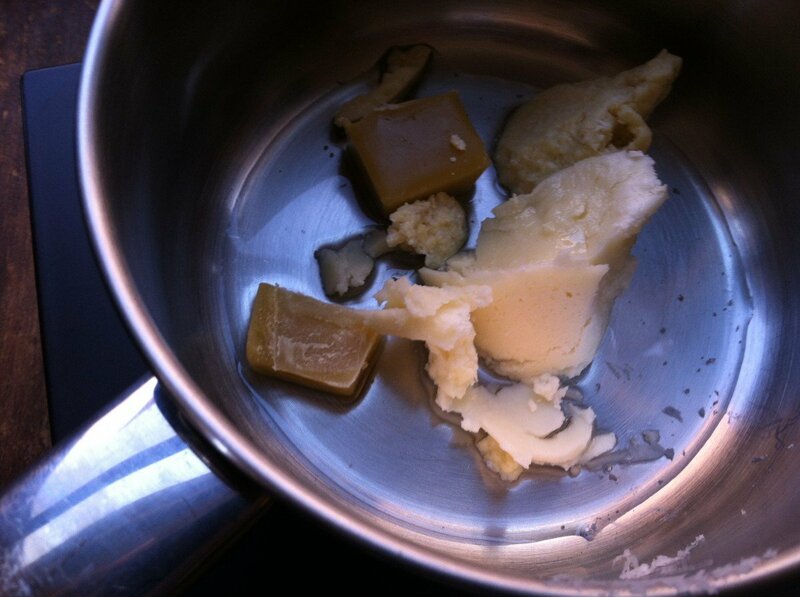 Melt cocoa butter, coconut oil, shea butter, and beeswax over low heat in a small pot or double boiler. 2. 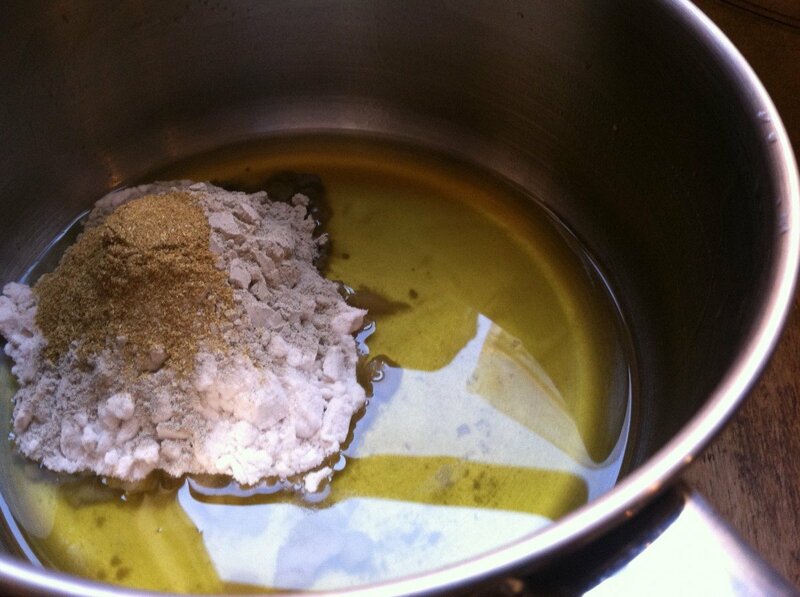 Remove from heat, then add arrowroot powder, bentonit clay, and Oregon Grape Root powder. Whisk mixture until all powders are well combined. Add vitamin E oil and essential oils at this time. 3. Pour mixture to clean, used deodorant container. Place in refrigerator to cool and harden. After this, the deodorant may be stored on the counter. This recipe will fill a container and last for 3-4 months. Remember…a little goes a long way! -Don’t let the darker color of the deodorant throw you off! It’s just the bentonite clay and herbal powder. By only using a very small amount — like 1-2 swipes — you shouldn’t have a problem with it coming off on your clothes. -Oregon Grape Root, according to Mountain Rose Herbs, contain berberine (just like Goldenseal Root) that is scientifically proven to protect against bacteria, viruses, fungi, protozoans, helminthes (worms), and chlamydia. Additionally, Oregon Grape Root contains tannins — the tannins in the herb, in at least one clinical study, were shown to ease inflammation, irritation, and itching (perfect for sensitive skin). -I love to play with essential oils in these recipes! Any scent or combination of scents will work fantastic. So pick your favorite and have fun with it! However, if you are super sensitive…you may want to leave them out altogether. And as always…if you really enjoyed this post I would be so honored if you’d share this post with family and friends! I’ve never made my own deodorant before but I have been looking for natural alternatives. I’ve kinda have. I’ve mixed some baking soda and coconut oil to make a very simple deodorant. But I wasn’t very happy with it, my skin was too sensitive for it. I’ve also used cornstarch as a body powder during the summer months, but it didn’t help as a deodorant. I’m excited to try your recipe, it sounds very soothing! I’ve used Lush deo bars before, with limited success. I’d be curious to see whether this works better or not…. I don’t sweat very much at all, but the Lush all natural bars just never cut it in the heat of the summer. This recipe stands out among all the other deodorant recipes I’ve seen lately- very unique! it looks like a lot of fun to make as well. The girls and I will be trying this one out soon! I’ve never tried making my own deodorant, but this recipe has my interest piqued! I usually use Tom’s, but I find it does not work very well and is very drying. I have never thought to make my own deodorant. I always had such problems in my teens and early 20s that I found I had one brand I had to use to risk horrible body odor. I’d love to try this! This looks & sounds great!! Love the mild ingredients! Sounds great. My daughter uses nothing but natural deoderants. No, I have never even thought of making my own deodorant. This is fascinating! I would love to make some! I’ve made mine but have been looking for a better recipe. Will try this one. Thanks for the giveaway. I have not tried making deodorant yet but this recipe looks great. Thank you. I made deodorant recently but because i have so few resources available i haven’t made a new batch. As soon as i get back i want to try lota of those little recipes in the ebook. I am using homemade deodorant now, but it can irritate my skin at times. Thanks for this recipe! I haven’t tried making deodorant yet, but would love to give it a try. I have been checking out Mountain Rose Herbs and have been wanting to give their products a try. This would be a great chance to try them out! Love your blog and have learned so much! Thanks to you and Mountain Rose Herbs for a chance to win some great products! I tried another recipe but I worried so much about it staining my clothes that I went back to the awful kind. I wish I could find a commercially prepared natural deodorant that actually worked. I get so frustrated trying different kinds that end up where I smell WORSE than if I had not used any at all. Expensive deodorant is then trashed or passed on to someone else. What causes the stain? I heard that the yellow beeswax may stain clothes. Try white beeswax. they sell it on amazon and I believe they also sell it at New Directions Aromatics. I’m definitely going to try this recipe…I love that there is no baking soda. I like how effective other homemade deodorants I’ve made have been, but my skin is rebelling against the baking soda. Can’t wait to give this one a try! Yes, I have made my own deodorant, but evidently my skin is sensitive because a rash developed every time I used it. I would really like to try your sensitive skin version! I have not tried making deodorant yet due to my limited income on disability for the ingredients… but this recipe looks great. Thank you, it would be a blessings to win this giveaway! No, I haven’t tried making my own deodorant yet, but I’m willing to try! Thanks for sharing this recipe and for offering the giveaway! I’ve never made my own deodorant, but really getting into making my home more non-toxic. Keep the recipes coming! I have wanted to try this for awhile but I wasn’t sure I was ready to buy all of the ingrediants. Now that I know that your WHOLE family uses it I am convinced! I have tried various simple solutions like coconut oil with baking soda, or just plain ACV swiped on with a cotton ball. These work pretty well for me in the winter, but now that it’s summer in my muggy homeland … honestly, I really don’t smell very nice. The ACV works for me but only for a few hours, not a whole workday. I would love to try making this! I’m currently using a homemade deodorant of coconut oil, baking soda and arrowroot powder which works great insofar as eliminating odor but it does irritate mightily on occasion (such as right now!). I definitely will try your sensitive skin version! What a great give-away! I love the original probiotic deodorant recipe and will NEVER go back to store bought deodorant. Having a recipe for sensitive skin is awesome-sauce!! I’ve never made my own deoderent before, but having been wanting to for a while, so I am grateful for this recipe and hope I can get it to work. Thanks for sharing. I have never made my own deodorant, but would love to try this one!! I am extremely skin sensitive and am always looking for recipes to use that won’t irritate my skin. I have made several recipes from your website and look forward to each new email! I love Mountain Rose Herbs as I have ordered some of their products to make my own lotions and lip balm! I love the idea of going green for all my beauty needs as well as my household cleaning products ! I tried making homemade deodorant and sunscreen just this past week. I think I am in the sensitive skin category however, the oils or something else aggravates my eczema. I’d love to try this recipe with some free ingredients to see if it would be worthwhile. Thanks for the recipe! I have never tried but it is on my list of things to do! 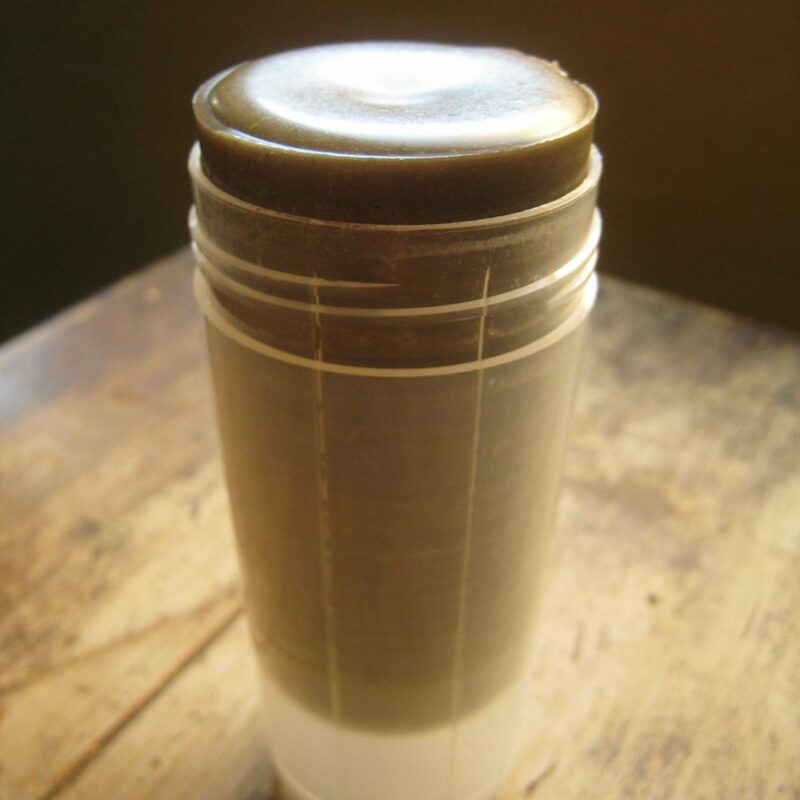 I have made my own deodorant…just a typical recipe with coconut oil, baking soda and a few other things. Really Simple. My problem was that my husband found it to be a little too greasy for his liking…and our other problem was that we live on a second floor and don’t have central air and during the day when no one is home the house can heat up above the 76 degree melting point of coconut oil since there was quite a bit of it in the recipe. I keep mine in the fridge and don’t mind that…but my husband is more reluctant to go through all of that for some deodorant. Do you know if this one will separate and melt or because there are so many ingredients it might be fine? I’m really excited to try this….do you get all of the ingredients from Mountain Rose? I have several of them already but there are a few things that I have never heard of. Thanks for such a great blog!! I’ve made several face and body care products but this will be a new one! My daughter and I made deodorant using the other recipe that you have on your website, but the coco butter is the most noticible thing. It actually makes me hungry when I wear it. Strange urge to try and lick my armpits….must stop! I was thinking of cutting out the coco butter and increasing either the Shea or coconut…waddya think? I’m very interested in this new version too. Will most likely try this the next time around. Thanks for EVERYTHING on this site and to the support that we get from Mountain Rose Herbs. Their service is outstanding and products far superior. I have not yet tried to make deoderant but I have been looking at your recipes and trying to get an order together for all the ingredients. Can’t wait to have a totally natural home. Thank you for all that you do to help us. I have been wanting a good recipe so I’m excited about this. I bought an “organic” deodarent from a local health food store but it made me sweat worse?? So lately I have been using nothing and during the summer I am constantly washing under my arms plus getting some comments from the family LOL I’m excited about this and will try it soon. I have made a number of your recipes and love your site and forward your info to friends and family !!! Keep up the good work!! Making my own deodorant is on my “list” for 2012. Love your recipe! Yes. I will never go back! Now to get my family to try. I have tried to make my own deodorant before and it just didn’t work right…it fell apart when applying it, etc. I am excited to try this recipe! I’ve never tried it, but would love to! Question – where do you get the tubes/bases for your deodorant? I’ve made my own deo before, but my skin was irritated. I will give this one a try. Thanks for posting this. I’ve never tried to make deodorant, but would LOVE to! I have never made and used my own deodorant…although lately I have been researching how to do just that. I am stepping away from ready made in a lot of areas. I am beginning my quest for the natural. This recipe sounds like a really good place to start with making my own deodorant! I HAVE made my own deodorant, but wasn’t very happy with the results. I ended up going back to Kiss My Face Unscented Liquid Rock Roll-on. I’m excited to try a recipe that might actually work! It’s time to make more…think I’ll try this! I have never tried or thought of making my own deodorant, but I am going to try to make it. Thank you for the post! 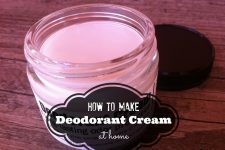 I have never tried to make my own deodorant but after reading how easy it is, I am VERY tempted to add this to my list of things to make 🙂 Thanks for sharing! I would love to try making my own. I currently purchase it made from a friends soap company. I have tried at least 4 different deodorants and have not found one that I am in love with. This one looks great! Yes, I have made deodorant for myself and my son. I am just about out so winning the ingredients would be perfect! Will definitely give this a try. I use homemade deodorant made from coconut oil, baking soda, and arrowroot, but sometimes it is too harsh on my skin. I love Mountain Rose Herbs too. I buy a ton of tea from them already. I love that they have so many different herbals and natural products available. One stop shopping. I’ve never tried, but have wanted to get away from traditional. So excited about this! I have made my own deodorant and am very happy with it but now that the summer heat as hit, I am noticing that my underarms are getting irritated, so this sensitive skin recipe sounds perfect. I haven’t found a natural deodorant that would work so I am really interested in trying this. Thanks for the giveaway. I have been using natural herbal based deodorants for over a year and love the fact that I am actually nowhere near as smelly as when I used deodorants that have an antiperspirant. The last thing to do is to try making my own and have been tempted to try this as I am nearly out of my current natural deodorant. Would love the chance to try this. Yes I have, and I love going all natural! I’ve never made my own deodorant before but have been looking at different recipes lately and wanting to try it! I hope I win! I have never made my own deodorant, but have been looking for an alternative. I’m have been researching and trying different diy ideas for many different things, but I would love the opportunity to make my own deodorant for my family. Thanks for sharing the recipe and for the the chance to win the ingredients. I have never tried to make my own deodorant. I haven’t used any in almost four years now….I do sweat but it usually doesn’t smell. I plan on making this recipe though for my family. Where did you find the containers? It’s as though you’ve read my mind, or my blog. I was just whining about how sensitive my skin is to my homemade deo. Thank you for a sensitive-skin recipe to try! I have never tried to make my own deoderant, but I would love to try! I have never actually tried to make homemade deodorant but ave researched it a lot. I already make my own blend using some of the ingredients you are using and I love it. I would love to try your blend as well and see how it compares to my own. Thanks for the giveaway opportunity! Thanks for the info about Oregon Grape Root … I’ve been making my own deodo for years and notice that my recent baking soda-free formulations don’t seem to keep me as stink-free as the old recipes. I have some OGR tincture so will mod part of a current batch and see how it goes! Also, I wanted to enter your raffle but am not wild about adding FB apps. 🙁 No worries though, I have all the ingreds I need! Love your recipes and ideas. I am looking forward to trying this recipe! I have never made my own deodorant, but if I had the supplies, I DEFINITELY would. I am against Anti-perspirant and only use Deodorant (Arm & Hammer brand).. so I would LOVE to make my own. I have been wanting to make my own deodorant. This would be a great opportunity. I use mineral stick deodorant, and it works fairly well. I have also made my own deodorant powder, with cornstarch, baking soda, and essential oils. I will give this recipe a try…..thank you. I haven’t tried to make deodorant….yet! Only recently found your blog and I am overwhelmed by all the great information and resources. So excited to start building my stash for homemade….everything! I have yet to make deo because I haven’t had all of the ingrediants on hand. Fingers crossed! Thanks for all you do, I adore your blog!! I must say after many years of searching for a deodorant that worked I have finally found it. I just recently purchased this and must say I am impressed and so is my wife. Thank you for such a great product. Maybe ill make my own one day but for now I have no problem supporting a good cause. I have been reading different recipes for deodorant trying to figure out which one to try first. With my husband’s sensitive skin this might be the one! i’ve made my own deodorant once before & it was ok. i’d love to give it another go. thanks for the opportunity to win! What a great recipe — Thanks so much for all your contributions to DIY health products & info!! Yes I have made my own deodorant, but my skin was to sensitive for it. Very eager to try this one out! Hi Andrea! How nice of Mountain Rose Herbs to do this giveaway! Thanks for hosting! Yes, I make my own deodorant. I use baking soda, which is a little course, cornstarch, coconut oil, and essential oil. Sometimes, it seems to irritate my skin though, so I would love to make this recipe! Blessings from Bama! Although I prefer anti-perspirant, I would try this product because I am trying to get away from all of the chemicals and bad stuff. Nope, never made it but hubby and I were just discussing this last night. A couple more ingredients 😉 and we can make some. I have recently tried to make my own deodorant. But a Spray not a solid. I would very much like to try this recipe! Love your site and really want to dry herbal deodorant! I love it! 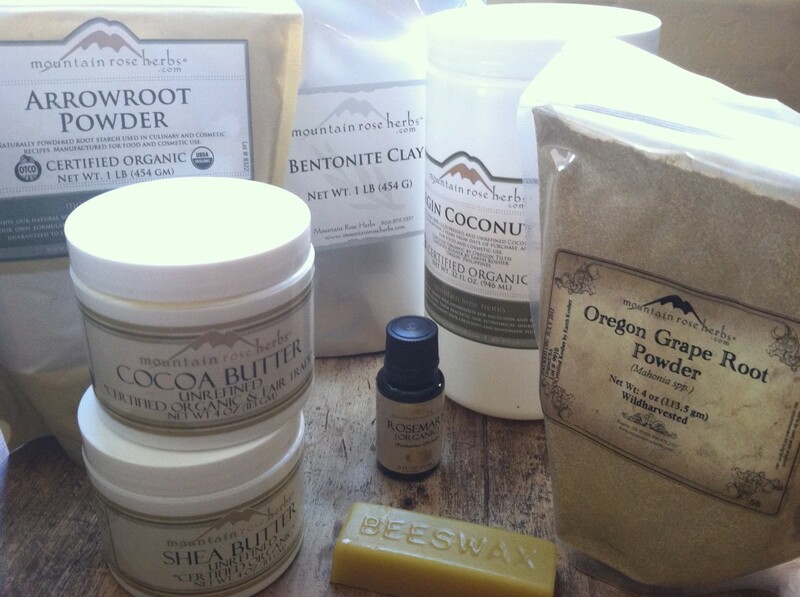 I’ve been wanting to make my own deoderant for so long, I love all the natural elements…. I’ve not got chickens, make my own preserves from my home grown garden for the long winter months, store onions and potatoes, use mama cloth, make my own detergent and home cleaning products. My friends always giggle at me but are always interested at the same time. Why buy green in the store and pay so much extra for it when you can simply make it at home! I feel like a hippy and looove it. I would love to make my own deodorant. Some of the natural store bought ones just don’t do the trick for me! I have been making my own deodorant for about 7 months but this recipe is different and I can’t wait to try it. It took quite a bit of trial and error before my current recipe didn’t give me a rash but yours seems great and I will definitely be making it my next go round! I have tried and failed. Lol. The deoterant worked well but stained our shirts yellow. Not sure if I used to much beeswax or lemongrass. Scared since to try again. I’ve not yet yried to make my own. I just don’t have all of the supplies necessary and can’t decide on a recipe. I am just beginning to see how easy (and definitely frugal) and healthy it is to make my own beauty and cleaning supplies. It seems that every day I’m finding that- Yes! There’s a recipe for that! I’m absolutely loving this new journey! I have tried making my own deoderant but it didn’t turn out well. I didn’t have the right ingredients or a recipe. I will have to try yours. I’d love to try this. This is in my “scared” zone….like making soap….which I have not done yet. I have made my own deoderant and love it. I would love to try this recipe. It sounds wonderful! Don’t be scared to make soap! It is fun and easy! You do have to be cautious about the lye, but it really is not that big of a deal. Would love to try a natural, home created deoderant. My daughter has such sensitive skin it would be a boon to come up with something non-irritating for her and something healthy for me! I have never made my own natural deodorant. My process for years has been abstinence. No commercial, traditional deodorants, and no natural store-bought ones either, because I never could find one that worked for me. This has left me in a few sti(n)cky situations, especially during this heated summer. Finances are always a bit too tight for me to consider buying all of these quality, organic ingredients. Thanks for the giveaway and I (and my neighbors) sure hope that I can win! I’ve been making the basic baking soda deodorant and my family loves it, loving the naturalness and healthiness of it – even talking to friends and people at work about it! I’m finterested to try this new recipe! I’ve made homemade deodorant many times. It seems to work as well as store bought except for stopping wetness, which it’s not meant to do anyway. I have not made my own deodorant before but this sounds so intriguing. I am slowly converting everything to natural and homemade. My friend has concocted a lovely organic lavender scented face cream that I love. I want to be off the grid in every way, including beauty products! 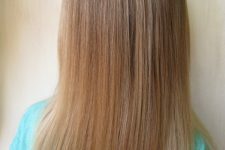 I have been using some of your products and I made the Vinegar Hair rinse, but there are quite a few recipes I have been wanting to try, but have put off because of the up front expense of the ingredients. This is such a great giveaway idea. Thanks! I am very excited about this giveaway! I make homemade deodorant with baking soda so this will be a great alternative to that. I love Mountain Rose Herbs! I’ve never tried making my own, but I’m tempted to now!! I do make my own deoderant now, but I’m always looking for new recipes. I would love to try this one! I have not tried to make my own deodorant YET. I am making just about everything else but I was holding out on the deodorant. I would love to try this. I haven’t made my own deodorant before, although for awhile I was using plain baking soda, but that gets too messy. My husband has always had horrible body odor and I finally convinced him to lay off the Old Spice. And wouldn’t you know it? His B.O. is so much better now! His brain isn’t as foggy, either. So I’m excited to try this homemade deodorant to use on those days when you really can’t skip out on it. Thanks so much for the recipe and the giveaway! I would like to branch out and make some more “chemical-free” items to use. I would love to try this, since my husband has a hard time wearing commercial deodorants. Thanks for the recipe! I would like to try this, I am vegan and it’s really hard to find deodorant not tested on animals. Plus I am trying to eliminate chemicals wherever I can. What a great giveaway! I have heard of this company, but have not tried their products. I’ve never tried this, but have always had such a difficult time finding deodorants I can use that this will be a great addition. Being able to add my own essential oils means I won’t have to buy unscented anymore. YAY! Love smelling girly. I’ve been making my own deodorant, but by the end of the day it isn’t effective – even in the winter months. So I’m anxious to try your recipe. I have a friend who is very sensitive to deodorants. This sounds like just the thing she needs! Never made deodorant before, but have tried several other types of homemade skincare items. I’ve never made my own deodorant, but I use a product made by company that specializes in organic deodorant. I would live to make my own! One day I decided to write Toms and ask if they would make a patchouli scent, but now that you have showed us to make our own, I can just make whatever scent my little heart desires. Would love to win, but know that whoever is meant to will 🙂 thanks! I have made homemade deodorant and really like it. It is similar to yours but without the herbs. Thanks so much for sharing your recipes and all your research! I love Mountain Rose Herbs too! Thanks for the giveaway! I’ve never tried to make home-made deodorant, but this sounds very easy and very safe! I’ve just recently discovered your site.Signed up for your newsletter and am loving it. Can’t wait to try this deodorant. Thank you! I have never trying making my own deodorant but would love to try it out. I have started making my own sunscreen form your blog and it’s great! I think the deodorant would be a nice addition. I have been making my own deodorant for a while now, trying different amounts of ingredients to get just the right mixture. My skin does not like the baking soda and I end up with a rash. It works great but itching is terrible. Would love to try this mixture. I am determined to get the chemicals out of our home and bodies. No, I have never tried to make deodorant, but I have been thinking about trying lately. I do make my own homemade deodorant, but it can sometimes be irritating to my skin. This recipe looks better than mine. I have never made homemade deodorant before. I am in the process of converting everything from skincare to house cleaners to homemade natural products. I have tried your recipes for house cleaning and laundry soap and they work wonderfully. I would love to win these products to make my own deodorant. My goal is to teach others how to make natural cleaners and natural body care products. I have made my own deodorant before and like the others (homemade, Toms of Maine, other natural deodorants, conventional deodorants), they don’t seem to work, especially when its pretty warm out. I know I’m supposed to sweat, but I hate the feel of wet underarms. The sweat leads to stinkiness, which I hate. I am hoping to find something that would help, even when I sweat. Something that cuts down or eliminates the odor. Of course, it has to be natural ingredients. I’m not giving up and will give your recipe a try. I have not tried to make my own as of yet, but would certainly love to try! I’ve never tried to make my own deodorant but I love the idea of creating something that’s natural, easy to make, and satisfies my scent preferences (so many of the store-available deodorants just smell unpleasant to me). Thank you, Mountain Rose Herbs, for helping all of us to be creative and frugally sustainable! have been for a couple years….but in the summer it stains my clothes – I would love to win this & try this recipe! I’ve never tried to make my own deodorant, but it’s been on my to-do list for awhile now. I’d love to give it a try! I’ve always wanted to make my own deodorant, but haven’t yet. I’d love to try this recipe. Thanks, Rose Mountain Herbs! No, I’ve never made my own deodorant. I’m using Toms of Maine now but would love to try and make my own! Thanks for the giveaway.. I have been thinking about natural deodorant lately. I’ve never made it or even tried it. I would come directly to you on how to make it though, I love your site and have been checking out Rose Mountain Herbs too. Thanks for hosting this give-a-way. I have made homemade deodorant before. I made a coconut oil and baking soda mixture that worked like a charm but my husband and I both had a reaction to it. Our pits got red and itchy after a while. Then we switched to just coconut oil and it didn’t work as well and my husband still had a reaction to it. Haven’t tried to make my own deodorant…yet! I will after I win though! I love making my own deodorant. I have been trying different formulas to see which one does not give me a reaction I would love to try this. I’ve made my own deodorant once (even made enough for my 2 daughters and my daughter-in-law.) But, not sure I LOVE it. So, would love to try this recipe. BTW, to get cheap containers to put the deodorant in, I bought deodorant in the dollar store ($1) and took out the deodorant and put my own in. Cheaper than buying empty tubes (and pay the shipping on those.) I’m also asking my family to save the containers for me. I have made the probiotic deodorant without the probiotic because it wasn’t in the budget. I have been using it for about 4 months and love it! I did have a rash periodically in the beginning, but as my body got used it, no more rashes. I highly recommend making it and would love the giveaway to try the new recipe. I’ve used a product by Nature’s Sunshine for years with good success, but would definitely like to try this! It sounds good enough to eat! Blessings! Really excited about trying this! I have a friend whose husband is extremely sensitive to many things, and I was wondering if there would be any substitute for the coconut oil? He’s allergic to coconut. No, i havent but would love to try. I tried to make some once but it didn’t come out so well hahaha. I’ve never tried before, but I want to build up my natural medicine cabinet, including all the daily essentials! Thanks for the deodorant recipe! I have been looking to find something that I like and that is good enough to put on my skin. My son saw me reading about it and said, “Are you going to make it? I’ll use it!” He is 9. He likes to try new stuff. I have tried to make it, although no probiotics in the first round. Coconut oil, shea butter, beeswax, arrowroot powder, baking soda, and rosemary essential oil. Works great!! I had red bumps underneath as well, for the first couple weeks, but thankfully, I had read many comments warning of that, and to wait it out a bit because often it’s just our bodies releasing the pent up toxins from the previous “bad” antiperspirants we used. They did go away and so did the excess sweat I experienced the first couple weeks of the switch! Yea!! I haven’t made my own but am excited to try. I have tried natural brands, Lush has some great options but would love something more cost effective. I have never made homemade deodorant before. I have been wanting to since a friend of mine told me that store bought deodorant isn’t good for us to use. I’ll never forget a health teacher telling me years ago to stay away from anti perspirants and get deodorant instead, simply for the fact that sweating is natural and shouldn’t be prevented. If only she could read you’re blog. She would be tickled! I have been thinking about making my own deodorant and have a few of the ingredients already. I’m saving my store bought deodorant containers to reuse when I’m ready to try it. I hope I win ’cause I stink! Never made my own but this looks easy! I’ve made my deodorant for awhile now, and had varying experiences from good to bad. 🙂 This recipe looks very neat to try though! Even if I don’t win, I’ll plan on trying. I love this idea. A must try! I’ve made my own deodorant, but I don’t love the recipe I’ve been using. Too much baking soda irritates my skin. I’ve been considering trying a similar recipe, but once I saw this one I knew it was the one for me! I’d love to win the ingredients so I can whip up a batch for the whole family! Could you put the probiotics int his recipe that is used in the other deodorant? I’ve been wanting to make my own (have printed up several recipes) but just haven’t yet. I do use a natural deodorant that works pretty well, but know it would be better for us if I made it. I’d love to try this recipe as several of us have sensitive skin. I have not tried to make my own deodorant, and have been looking for a viable alternative to commercially available deodorants for awhile. My readership would probably love this as well. Just when I thought I was ready to make this I see another recipe that’s better than the last. Hmmmmm think I’ll wait to gather a few more ingredients. Off to the Mountain Rose Herb Catalog! Haven’t yet, but am ready to try! I tried once to make my own deodorant using coconut oil, arrowroot powder and baking soda. It smelled good but gave me a rash like everything else. I would like to try this! I can’t wait to try this recipe! We are currently using a different homemade recipe, which we like, but love the idea of the probiotics. I made my own deodorant, and it works much better than any commercial one, even if they are “green”. I have a question, according to Wikipedia: Bentonite is an absorbent aluminium phyllosilicate. So, if we are trying to get away from aluminum, how come this recipe have an ingredient that contains aluminum? My husband and I switched over to coconut oil mixed with baking soda with a drop or two of peppermint oil in it a while back. It works great (better than anything we’ve ever bought, natural or not), but the baking soda can be a little irritating the day after using my epilator. I’d love to try your recipe! I recently did just the simple coconut oil, baking soda, arrowroot combo for a deodorant. Slightly rough with the baking soda, so I can see where it would be irritating to sensitive skin. But it keeps me as smell-free as my store bought stuff! I have not made one yet. But excited to try this recipe and a few others I have found on your site. I will definitely have to give this a try! I have not tried to make my own deodorant but have a terrible time with skin sensitivities using the “natural” types. Even if I am not the lucky winner, I will try this recipe. I have never tried making deoderant before but am excited to try!!! I have not tried to make deodorant yet but it is on my list of things to try. Every since my son developed a sesame allergy (on top of all the other ones), I have looked into making all my own deodorant, shampoo, lotions, and chapstick. No, I’ve never made my own deodorant but I would so love to start doing so! I never realized how bad commercial deodorants are for our bodies, and my husband and I have been going away from chemicals in our home and in our personal care. Thanks for this opportunity! I’ve never made my own deodorant, by I’m very interested in trying. I have never tried to make my own deoderant. No, but I have read about it and would like to. i havent had the chance to make my own deoderant but would love to. we make other household product/beauty products at home…. my family loves them all!! I’ve never tried to make my own deodorant, though I have saved a few recipes to try. I do make my own lotion, dish soap and cleaning supplies. Next up is your hair conditioner recipe! I have not… but it is on this year’s to learn list! I have always been nervous about homemade depderants. . . But, I would REALLY love to try this! I have never made deoderant before. I have been using a pat of baking soda or spritz of cider vinegar. I would love to learn to make it for my family. Thanks for the wonderful tutorial. I have never made my own…but I’ve been starting to collect many of the ingredients to try! I haven’t tried to make my own deodorant before, but I’d love to try. I have been using baking soda, by dipping a moist finger in the powder and rubbing it in my armpit for years now, but it’s not ideal, especially when my skin is feeling sensitive. I’m excited to try this! I’d love to try this! I’ll have to get some of the ingredients…. We tried the coconut oil and baking soda and some essential oils before, but come summer, it was just is too liquid unless we kept it in the fridge. Would like to try this as well. I don’t sweat that much unless I’m working outside and I love to keep it more natural! I have tried making my own deodorant. I love the recipe that I make but it melts in the container in the summer. It’s hard for anything to NOT melt this summer. So I keep it in a small tupperware container down by the AC vent to keep it semi-solid. I would love to try another recipe to test the difference. I make other homemade beauty products and am interested in making my own deo. Thanks for this recipe and the opportunity to get products for free! I have never tried to make deodorant. I make other things but this will be a first! Cannot wait to give this a try! I’ve never made my own homemade deodorant before but I’m looking forward to it. I also cant wait to make the probiotic deodorant as well. I made my own deodorant a while back. It worked great at controlling odor and wetness but my armpits were not pleased with it. I am really looking forward to trying this one out and hoping it will solve my sensitivity issues!! I’ve never tried to make my own, but thanks to your website I’ve recently become interested in making my own, well, all kinds of things! 🙂 I would LOVE the chance to win the giveaway – one of the biggest deterrents to making my own has been availability of supplies and cost! I will need to give it a try as the deodorant I made recently is not working for my sensitive skin. How awesome…I have used more “natural” store deodorants….Really want to try making my own…there are so many other things on your blog I have lined up….this might just push me over the edge to finally just DO it! I’ve never tried to make my deodorant, but I’d love to try. I haven’t tried to make my own yet, but it has been a goal of mine! Now that I am having trouble with breaking out using commercial deodorants, I want to make my own! Thanks! I have tried to use mixtures that would curb my body odor. Currently I use a mineral salts stick followed by a mixture of Burt’s Bees Baby Powder (talc free), non-GMO corn starch, and baking soda. I am SO excited about this giveaway – thank you! I have been wanting to try homemade deodorant for quite awhile now, but hadn’t decided on a “recipe” yet. I really look forward to trying this one! I have been making my own deodorant for about a year now and I am so pleased with the results. I’m looking forward to trying new recipes. I have not tried to make my own…but I am willing to give it a shot! The rest of your recipes have worked very well for me. I have never made deodorant before but have used a lot of your household cleaners recipes. Would love to try this out. Yes i have tired and it came out quite well. i have used most of the ingredients that you have listed above but instead of arrow root I used baking soda and cornstarch and no clay or grape. It worked well for quite awhile but after a month or so I did develop a rash. I am assuming that the cornstarch and baking soda were acting as irritants. My husband broke out rather quickly:P I would love to try out this new recipe to see how it works. Thanks for the opportunity to win the ingredients. I’ve never made my own deodorant, but am interested cause I have allergies to regular store bought ones. My homemade deodorant consisted of coconut oil with a few drops each of tea tree essential oil and laveder essential oil with a dusting of baking soda. It works great for those low impact days, otherwise I had to do a reapplication by afternoon. Sometimes it wasn’t worth the hassle, especially while traveling. I haven’t tried to make my own deodorant. We generally use natural deodorants, but I like the idea of making our own. We’re getting more and more into making our own products, so this is something that I’d like to try. I’ve made my own deodorant using coconut oil, baking soda & cornstarch. It works wonders for me, better than anything I ever bought at the store, but I have problems with sensitivities to it. This looks like a promising recipe. I’m looking forward to trying it out!! I have actually tried to make my own deodorant, but while having good success with odor control, I did develop a very uncomfortable irritation – probably due to the baking soda. I was looking to make another batch but every recipe I could find uses it! This may be just the thing I need. Love this blog and love MRH! I’ve been using the crystal deoderent, but I would LOVE to try and make my own!!! I did try to make my own deodorant…but the oil stained my clothes, so I stopped using it. I would love to try this recipe though! Mountain Rose Herbs are the BEST. I’ve been wanting to make my own deodorant, but haven’t gotten around to buying all the supplies yet. I’d love to win them!!! Iv been looking for a natural deoderant and what could be better than making your own! Have not tried natural deordorant yet. Been looking for a good recipe. I think I will try this one! I use Mountain Rose Herbs to make most of the things that I sell. It means that while I’m starting out, I don’t make as much money because people don’t know who the heck I am, but, I refuse to offer low quality products. 🙂 MRH has been an obsession of mine for years. My precious sister-in-law is undergoing chem for breast cancer and I have promised to find a recipe for safe deodorant that we can all use, and WILL use. One that works, and doesn’t ruin our clothes or put our bodies at risk. I love this! I have tried to make my own deodorant, but it always bothers me. I can’t wait to try this!!! Never have but being a breast cancer patient I am always looking for anything that is all natural. I do use a salt stick right now but living in New Orleans with all the humidity I really do need something stronger on some days. Never tried….would have no idea where to even start! Thank you so much for the recipe! I have been making my own deodorant for a month now and have not had very good success. I was very happy to see your post because I have very sensitive skin and the baking soda is just too harsh, even mixing it with cornstarch which I tweaked for weeks. I tried the coconut oil “wet” version and that didn’t offer enough protection against odor. I then started trying the wet version and dusting the baking soda, tea tree, cornstarch powder over it and at the gym yesterday, it was a big FAIL:-( Help!! I am very aware of the commercial deo woes and even though it hasn’t been proven yet believe it may be contributing to the breast cancer epidemic. I love Mountain Rose herbs and being a subscriber to your site so I do hope to win the ingredients to try a better version so I can successfully “fight the funk”. ;-) I am not on FB at the moment because I am in grad school and it’s too distracting or I would have “liked” and posted on your respective pages . I have to have boundaries on my computer time. Many Blessings! I haven’t tried to make my own deodorant, but have a hard time finding ones that work for me. Very interested in this! I have been playing around with homemade deodorant recipes. So far I have been using a cornstarch/coconut oil/beeswax recipe. The cornstarch is starting to be a bit irrigating, so I have been planning to try arrowroot powder in my next batch. This give away is perfect timing! I have not made my own yet but have been wanting to for quite some time. I can’t wait! I stopped using anti-perspirant and bought only deodorant years ago. Then I stopped using anything. I would love to make my own and have something I feel safe using. I have not tried to make my own deodorant yet. But I have been wanting too. There are 4 girls in my house and we use a lot of deodorant combined. This would save money and be healthier. I have yet to find a deodorant that works for me! I have made my own with the basic baking soda/coconut oil recipe with little luck but I am excited to try a new recipe! No, I have not, but have been thinking about it a bit lately. Wish I would have ordered the supplies in my last order! I have just found out about Mountian Rose Herbs, have ordered a few times and am impressed! I’ve made a lot of my own natural products in the past, but never deodorant. I’d love to give it a try! I haven’t tried to make my own deodorant… yet! I have made my own deodorant before with a recipe that included baking soda, corn starch, coconut oil and essential oils. I liked it and it was effective, but I found with long-term use it was irritating to my skin. I would love to try this recipe. I haven’t tried to make my own deodorant yet but reading your blog it’s been on my mind. Thank you for the recipe, I have sensitive skin and will try this out and thank you for the inspiration and the chance to win this wonderful prize package! Iv’e tried several recipes for making my own deodorant, but I usually end up with a rash due to my sensitive skin. I will be curious to see if this one works for me. I keep coming back to this recipe and thinking “I need to try this!”. This week I will!! I use to make my own deodorant with baking soda, but it made my pit really itchy and tender 🙁 They would often hurt. I just made deoderant for the 2nd time yesterday. Just ran out. I LOVE getting off the aluminum and other junk! So excited to get another recipe that works. Variety is a great thing. Thanks for your generosity sharing your recipes! I haven’t ever seen a recipe for homemade deoderant so I have not made it before. But this would be so great, because I have sensitive skin and I’m sooooo tired of the awful itching from regular deoderant. I haven’t tried this yet–but it is my next homemade project! I would LOVE to win this kit!!! I have made my own deodorant a few times but I’m always looking for new recipes! Oh my goodness, I would love to win this! Thank you for the opportunity! i have never tried but there are so many recipes that you have on here i want to try. I just dont know where to get the ingredients! This would be awesome to win ! I’ve never made my own deodorant but I’ve been pinning recipes for awhile now. I have hyperhydrosis, so even my palms and the soles of me feet are really sweaty. I’ve been concerned about switching to a homemade deodorant because I need something strong, but this recipe might just do the trick! I have been buying homemade deodorant from a friend but recently I have been having problems with the baking soda causing bumps. I would love to make this recipe. Thank you for sharing. I am one of those with sensitive skin. I am going to have to try this recipe out. The other one just kills my armpits. Thanks for you hard work and great recipe! I have never tried to make my own deodorant, but it’s next on my list! I tried to make my own deodorant about a year ago with cornstarch, baking soda and coconut oil with a recipe I bought online, but had a hard time getting it to solidify and it irritated and made my clothes oily so I didnt use it very long. But I really want to make my own, one that works and i can possibly use in other areas of my body. I have never tried to make it. I have tried natural brands and have not been thrilled. I am so excited to try my own. That always seems to work better for me in other things, so perhaps it will in deoderant too!!!!!!! I have been using the Rosemary Mint probiotic version of this deodorant and LOVE IT. Would be great to win the ingredients to make some for myself! Not only has it turned out to be a great deodorant but its multi-tasking too. I find it works for soothing sensitive skin rashes on my eczema-prone daughter’s skin too. I haven’t tried to make my yet but it is on my list of things to do. I’m waiting for my stock of deodorant to run out because the frugal person in me doesn’t want them to go to waste. I’m almost out! I just made my second batch. I used equal parts baking soda and arrowroot powder with enough coconut oil to make it a paste. The first batch turned out perfect and worked much better than expected. The second batch, I thought it was too runny and kept adding more of the dry ingredients. Turned out way too thick and was irritating to my skin. So, I’ve gone back and added more coconut oil and it’s working great again! I liked lavendar for the essential oil in my first batch. I added a little orange EO this time and while it smells ok, it’s not what I expect from my deoderant. 🙂 Next time, back to lavendar! I just made some, using a recipe similar to yours, but it made me itch. I would lone to try yours. I’ve been making my own for a couple of years now. I recently made your other recipe with baking soda and i really like it, but i’m definitely getting a rash, so i’m really excited to try this one. I just have to tell you that I am in LOVE with your probiotic deodorant. I made it and started using it last week and I could not be happier with the results. I have used secret forever and lately started noticing a mild odor late in the day. Not with your recipe! I have no smell AT ALL! I did not have any of the expected issues with the baking soda either. THANKS! I am so happy that I discovered you some time ago. I have already used many of your recipes…and, of, course, passed them on (most of my friends prefer I make them and then share. lol). I have never tried making my own deodorant, but I can’t wait to make this one!! And like you, I also LOVE Mountain Rose Herbs. I order a lot of stuff from them! I do use my own homemade deodorant during the cooler months but have not been able to find one to work in the summer so I really look forward to trying this recipe. I’d love to try this. I actually break out with most normal deordorants and would love to try an herbal one. Nope, never tried. I am new to making my own body products but have been doing homemade cleaners and cooking from scratch for awhile now. I’d love to try it! I haven’t tried to make my own deodorant yet, but I have been dipping into other homemade products of late and am excited to try! My husband has been asking me to try making a deodorant but I haven’t found a recipe online yet that appealed to me, but I think I will try this one out. Thanks for your service in making this blog! I make my own deodorant with coconut oil, baking soda, and cornstarch. For me it works much better than any deodorant I have ever used plus I know exactly whats in it! I would love to give this recipe a try!! I havent tried to make my own deodorant. It always looks sooo good but havent had the ingredients. Great giveaway! I made your probiotic deodorant, and it worked great, but it stained my clothes. 🙁 Now I just use baking soda and it works for me. I did my best to enter, hope it went through! I love your Etsy shop and I’m going to buy some of these things as well, but I’m definitely going to make some at some point. Thanks! I have not made my own yet but I will try it. Thanks for this recipe. I don’t buy anti-perspirants and deodorants anymore. I use cristal alun (alun potassium naturel) and/or cristal salt. I have never tried to make my own deodorant but I would love to try and make this one! I have not tried yet but it is on my list! I have not tried but I sure have thought about it a lot. I think it is just the idea of trying to find all the ingredients. this would be wonderful to win. I’ve never tried to make a deodorant because I haven’t found one that made sense to me. The ones made of coconut oil just melt down here in the south, and that feels disgusting. This one looks like it would go on smoothly and somewhat dry, I’d like to try it out. I’ve been buying organic deodorant for some time now because I’ve don’t like the idea of not letting our body perspire. I don’t like the odor after a couple of hours if I don’t use any deodorant, so I spend a lot on natural stuff for my husband and myself. I’ve been wanting to try this for a while now!!!! crossing my fingers! I’ve never made my own but am transitioning to more natural products around the house and would Love to try it! I have made your probiotic deodorant recipe a few times and really like how it works, I just don’t like how it stains our clothes. I will continue to use it though because I just feel better about it then using chemical laden stuff. I would love to try this new recipe should I win the prize. I’ve never made my own deodorant, but I’ve purchased a couple of handmade varieties from Etsy and pinned plenty of recipes on Pinterest! I’ve been making my own with arrowroot powder, baking soda (alum free), coconut oil, and beeswax and some essential oils. I’ll never go back to store bought stuff again. There is NO ODOR ever. I’ve not tried making deodorant yet, but this recipe looks great! I recently have tried using coconut oil and cornstarch. It works pretty well but not as well as the store brand I used to use and it’s definitely not as convenient but worth it as an alternative to applying toxins to my body. I have a house full of preteen/teenagers that all use deodorant and need something as similar to store brands as possible to sell using an alternative product to them. I am really hoping I am the lucky winner because we would definitely need all 10 to go around for everyone to try. Either way, I am hopeful that this recipe will be what I’ve been looking for and that customizing it with essential oils will make it a hit with everyone. Thanks! Yes, I currently make my own homemade deodorant and even though it works very well with odor, it causes me to break out. I am interested in trying this recipe. Yes, that is all we use – but a different mixture. The whole family loves it, teens and hubby! I have never made my own deodorant before. I have just started making my own cleaning products, and now I am looking into making my own deodorants, lotions, and shampoo. I would love to win this so I can give deodorant making a try. I’ve tried a couple times and used natural beeswax and essential oil ones available at the health food store. The homemade with baking soda gave me a rash so the next time I used bentonite clay. The natural sticks feel good but they don’t keep me odor free for long. It could be a sign that my body is toxic but I really would like a deodorant to last longer than a couple hours. Still willing to try again though. I have enough issues with chemicals that I avoid almost all commercial products. I’ve never tried to make my own deodorant because I’ve not been brave enough. I tried my own toothpaste and bombed (it made my teeth darker). I thought I’d quit while I was ahead. I’ve never made deodorant or anything and I have a ton of skin allergies so I’m really interested in trying out some natural options! We don’t have a natural foods store locally which makes it doubly hard to get organic products! This looks Awesome! I’ve made my own lipgloss, soap, lotion, shampoo, conditioner, and first aid products before, but I’ve Never thought of making my own deodorant! This would be Perfect for my mom! She’s always looking for a less is more product to combat the idea of aluminum, etc. being on her skin. Thank you! Thanks for this recipe. I’m in transition and I don’t like what I have now. I think I will give this recipe a try. oh I would love to make this for myself! I have not yet tried to make my own deodorant….but it`s on my list! I am waiting for some money to buy a whole list of things from Mountain Rose Herbs – what a wonderful giveaway they are sponsoring! I have made one recipe and it just didn’t stand up to a short while without strong BO being noticed….I really, really want to find one that works and eliminate the aluminum from my body. Love your site and blog and am looking forward to trying several of your recipes. I’m a huge MRH fan, too! Thanks so much for your generosity–J. I’ve never made my own deodorant, but I would love to try! Little by little, I have been switching all of my personal and home products to organic and non-toxic. Thank you for the opportunity to enter this contest! I want to make my own deodorant and just haven’t done so yet. This looks like a great combination of ingredients! Thanks for sharing! I am currently using my homemade deodarant but i have very sensitive skin and I am always looking for a better recipe, I have been using homemade deodarant, toothsoap, laundry detergent, shampoo, etc. for about 3 years now and I love them! I’ve never tried to make my own deodorant before, but it is one of the many things I’d love to try. We are a family of 7 and everyone except my 2 babies uses deodorant . . . or at least they’re SUPPOSED to!! This would be a great project. Anyway, I’m hoping making my own will improve the quality. If I can find a formula that works, I’ll stick with it! I gave up on commercial deodorant years ago and have used essential oils since, but definitely willing to give this a try! I have not tried to make deo before, but as soon as I get arrowroot powder and some beeswax I have all the ingredients I need to make the probiotic one from this site and I will be trying it. I have wanted to try homemade products but haven’t splurged on the ingredients yet. I can’t wait to get started!! no, but i’ve wanted to. I’ve made my own deodorant out of coconut oil and corn starch, but love the idea of adding essential oils and cocoa butter. My deodorant had no smell and I missed the nice fragrance, but not the chemicals, of the store bought ones. I have been looking for a good homemade deoderant recipe. We are currently making the transition to chemical free in our house. Thanks! I have tried homemade deoderant with baking soda, cornstarch, and coconut oil. Its not a solid but I still like it and it works. I cant wait to try a recipe for a solid form. I love mountain rose herbs! I have made my own deodorant but after about a week I start breaking out from it.. It took cornstarch and baking soda and I think they were to rough on my skin.. Thank you for this recipe.. I am going to try it.. I have never tried to make my own deodorant, but I look forward to trying this recipe! 🙂 Thanks! I made my first batch of homemade deodorant a few weeks ago. I’m going to try this recipe next time! My husband just developed a similar deodorant with a secret natural ingredient…we think he finally has perfected it and want to start selling it very soon. We also got all of the ingredients from MRH, we love them! I have yet to try any homemade deodorant, but want to attempt. I tried to make my own deodorant using baking soda and all it did was leave me with a very itchy and uncomfortable rash. I am looking forward to trying this recipe. This is great. I have been looking for a recipe and this one is it. Being in Colombia, I can not find all the ingredients sowinning the GiveAWAY would bring them to me. I’m excited to try this!!! I’ve never made deodorant. I’ve been wanting to try it but money’s always a little or a lot tight. Great give-away! I’ve never thought about making my own – but I’m interested now! I have not yet made my own deodorant but it IS a project I’d like to try. in fact, that is how I found your blog a couple months ago- during a google search for homemade deodorant recipes. I was so impressed with your blog, I subscribed to your blog in my google reader! I just haven’t gotten all the supplies yet so this would be a great prize to win to get myself moving! I have never made my own deodorant, but I have honestly spent several hours researching them and trying to decide which recipe is best. I would LOVE to try your recipe, especially as my munchkins are reaching the age that they need to begin wearing deodorant themselves, and the AXE my husband uses gives me a horrible headache if he gets it on too strong. I have made several homemade versions and cant seem to use any of them because of having such skin sensitivity!! So Im gonna give this a go and see if it works for me. Winning all the ingredients would be awesome!!! I’ve never made my own deodorant before but this one sounds great! Would love to try it! Yes! I have! Your recipe 🙂 And I liked it but I am not so much into cocoa butter. So I changed it up a little. I use coconut butter instead of cocoa butter. And primrose oil instead of Vit E. But that is only because I didn’t have it. I use lemongrass oil for the essential oil and my deodorant smells like lemon pound cake and works extremely well. I am very grateful to make one that works because I have a deodorant grave yard of those that don’t work so well from Wholefoods. My husband loves it too. Thank you. Would love to try this recipe. I don’t know what’s keeping me from doing it. been looking for a new deodorant recipe as the one i make with baking soda tends to irritate my skin – this is perfect!! I use a crystal rock and combine it with a tea tree antiseptic lotion, it seems to work pretty well but I definitely noticed that it took my body a while to adjust. I’d love to try the bentonite clay, i’ve heard great things about it! I am thrilled to read that finally, someone has come up with a deodorant that works – even on sensitive skin. We made the switch to natural deodorants a few years back, but have not found a good replacement. My various attempts to make my own, help, but not for longer than two or three hours. Love your commonsense ideas and frugality! I have not, but look forward to trying this sensitive-skin recipe! The regular probiotic version gives me a bit of a rash…still waiting to see if that resolves on its own. I haven’t tried making my own but I have been using cococut oil which works ok. I would love to make my own! I’ve made my own, but really want to try out this recipe. I’ve found I actually sweat less, after I stopped using the “bad” stuff. I have never tried. But have been thinking ALOT about it. Feel this is the best way to go. I am so thankful that I finally found this website. I have been looking for a natural deoderant. thank you thank you thank you, I will be a frequent visitor to see what other wonderful natural concoctions you have. I have always wanted to make my own deodorant! I have been on the lookout for some deodorant recipes… YAY!! I love this! Would love to share this with friends/family! Thanks so much for the opportunity! I have not made my own but I have switched to an all natural one several years ago but about every three to four months I have to switch brands because they seem to lose effectiveness. I switch between Tom’s of Maine and Arm and Hammer Essentials. Would love to try making my own. I have made deodorant several times but haven’t found the proper texture yet. I’m interested in this recipe because it seems to have a lot more of what would make it less crumbly, which has been my biggest issue. Thank you again for a wonderful post! I have been making your other deodorant recipe for awhile now and love it! I thought you might find this interesting. In a book I was reading, “The New Healing Herbs” by Michael Castleman he talks about sage and how several studies show that sage cuts perspiration by as much as 50%. Today a sage-based antiperspirant (Salysat) is marketed in Germany. In addition Commission E (the counterpart of the FDA in Germany) approves sage infusion as a treatment for excessive perspiration. Anyways, it would be great to add sage to this deodorant recipe. I make my own deodorant and I’ll never go back to store bought! I’ve tried different things but never homemade myself. Have yet to find something suitable. I tried once but it didn’t work very well. I would love to try your recipe now that I’ve started making all my own homemade products! Nope, but it’s on my list of things to do…. I make my deodorant with just arrowroot powder, baking soda and coconut oil. Your recipe is WAY AWESOMER!!!! LOL!!!! I’d love a chance to try it 🙂 Beautiful!!!! I’ve never tried making my own and I am looking for a recipe that really works! This recipe looks great. I have been making my own deodorant for a few months now and I love it. So far I have not found one that does not itch me. I will try this one next. Thanks again!!! I love your blog and I am a fan on FB. Thanks for all the great recipes! I currently make my own deodorant. I have tried several recipes and would love to try this one. Thanks so much for your blog. I have learned so much from it and use many of your ideas and recipes. yes, i do make my own….but very different from this recipe. i would love to win this and try it out! I have made my own deoderant in the past but I am sensitive to baking soda so I am interested to try this one because it doesn’t have baking soda in it!! so excited. Yes, I have made it once. It works pretty well but I would like to explore new recipes! I have not made my own deodorant yet. Our family is just getting started in making our own cleaners and hygiene products. My biggest obstacle is finding some of the ingredients for some of them. This recipe looks perfect! Can’t wait to try it! No I haven’t but I have been interested for some time. Thanks for the recipe! I have made my own deodorant before. It wasn’t organic but that is definitely something I desperately want to try…..when I get some funds to do so. I love making different homemade household and personal items. I have so many recipes saved on my computer…its insane! I’ve never made my own deodorant, but have thought about it. Bet I’ll do it if I win the ingredients! I just recently started to buy the ingredients to start making my own! My daughter is just starting to need deodorant and I don’t want to pump her little body full of chemicals! Thanks for the recipe! I havent tried mking my own but I’ve had a wish list of the ingredients for a while. I tried making my own with coconut oil and baking soda but the baking soda gave me a rash. Can’t wait to try this recipe. Thanks so much. I was making and using my own deodorant over this past winter and loved it! But since I live in Florida, once it hit about February it wasn’t enough to combat my stink, so I bought an all-natural one from the store. I have tried 3 different deodorants since and I have been combating a horrible rash on my underarms ever since I switched back to store bought (no matter how organic!). I would love to win this and hopefully find something to combat my odor that doesn’t leave me with itchy, stinky, red pitts! I’ve been wanting to try this for months now but am newly married so far too poor to get the ingredients or order from you, so I would probably cry with relief if I won and could save my pitts! Yes, I’ve been making my own deodorant for awhile but am looking for a new recipe because mine has been irritating my skin. No. I haven’t but I would love to try. Since I started making my own lotion in January, I’ve read about making my own deodorant. This recipe looks like something I’d be willing to try. I have not yet tried to make my own deodorant, but I have been seriously considering it! I’ve never made my own deodorant, but I’m excited to try your recipe! I haven’t made my own deoderant….but I have used coconut oil and seems to be somewhat effective. I have been trying all your recipes on here and deoderant would be a new experience for me i’d like to try. Yes, I have made my own deodorant once, but would love to try this recipe. I’ve been using a crystal salt based deodorant that works well on me. No smell normally. Would love to try this homemade recipe! I was literally just pulling together all the different recipes I’ve come across to try to make my very first batch and came across this one. I love the fact that you use Oregon Grape Root! Whether I win or not, I’m definitely gonna try this recipe! I’ve never made my own deodorant but my wife loves this sort of thing and I think its great! I have never made my own deodorant but I am just now starting to make my own beauty products and will be putting this on my to do list! I recently started researching making my own cosmetics. I started with making my own cleaning supplies, and I’m excited to transition. I’ve found that coconut oil and baking powder is the most effective pure deodorant for me, but my armpits have started rejecting the baking soda. They get very red, very sore, and very itchy. I’d love to try your recipe! I am, however, admittedly nervous, since nothing without baking soda has proven very helpful in the smell department. I’m hopeful. I’ve made And have been using for about a year. I love it but am looking forward to trying this recipe! Although I have made my own cleaning products and laundry detergent, I have never tried to make deodorant. I have been using the natural crystal kind, but I would like to try to make my own. No, I have never tried to make my own deodorant. I use that French rock and love it! However, this looks very interesting! I use a natural crystal deodorant now but would LOVE to try this out! I never tried to make my own, but would love to try my hand at it for sure! No I have never tried, though i have tried everything else. Lotion, chapstick and others so I dont know why I haven’t tried thiss. I would love to though!!!! Thanks for the giveaway. I’ve never made my own deodorant, but I would love to try it. I’ve looked at it on your Etsy shop several times, and the only set back of making it was having all of the ingredients. I’ve been thinking about making my own deoderant for quite some time, but just haven’t done it yet. This recipe (and the contest) inspires me to get at it! I’ve never tried to make a deodorant stick before, but I have used witch hazel with tea tree oil in it as a spray. I found that I had to re-apply about four times a day though. I can’t wait to try both the probiotic and herbal recipes and decide which is best for me! One question though, do you know if I added tea tree oil or another essential oil with anti-bacterial properties, if it would counteract the probiotics in the deodorant? I love your blog so much! It has truly inspired me to live a more healthy and sustainable lifestyle. Thanks! Looking forward to trying some of your recipes…thanks very much for taking the time to blog about things that are important to all of us! I have made homemade deodorant with just coconut oil, cornstarch, and baking soda. My hubby didn’t like it so much since he has sensitive sking, so this giveaway would be perfect! Looking forward to making some of our own! I;m going to be starting to make my own body lotions, salves and deodorant, so this is right up my ally then! I make my own deodorant, but this recipe looks better than mine! what a generous giveaway, Mountain Rose Herbs!! Yes I have, however it was a powder form. And hasn’t really wotked out very well for me with this crazy texas heat. I have been using the baking soda, cornstarch and coconut oil recipe, which has been working well for me, but I can’t wait to try your recipe! I like the essential oil idea and the clay is something I’ve never heard of. I’ve made my own deodorant once before and wasn’t particularly thrilled with the results – I would love to try again with a new recipe! I haven’t yet tried making and using homemade deodorant, but it’s something that I’ve become very interested in trying. This post may just be the final motivation I needed to get me to do it! I’d love to win this giveaway! I’ve been slowly phasing out all my conventional personal care products and haven interested in making my own, to avoid harsh chemicals and for frugality. But every recipe I’ve seen they never list the cost, my concern is the amounts used are very minimal compared to the amount one has buy, so when you take that into consideration it turns out to be more expensive than buying a natural product already made…anyway, thanks for this recipe and the giveaway! I have never tried to make my own deodorant because I have such sensitive skin…so glad you have come to the rescue!!!!! I have but it always made me itch! I will have to try this recipe. Thanks! I have not tried to make my own deodorant, but I have been looking into making more homemade products lately! No, but I’d like to try. I’ve never made my own deodorant, but I’ve made many of the recipes from your wonderful blog. Thanks for sharing and making all this available to those who are interested. This is on my list of to do very soon! Winning the give away would be the SUPER boost I need! No, I’ve never tried to make my own deodorant. I’ve made my own deodorant before but the only oils were coconut and it didn’t contain beeswax (nor any of the other ingredients) so it melted as soon as it got a teeny bit warm out. I’d love to try this recipe out! I have never tried to make my own deodorant, but I am thinking about it. There are lots of your recipes that I would love to try . I’m working on getting all the proper I gredients. What a super AWESOME giveaway!! I have tried the coconut oil/baking soda/arrowroot recipe found on a few blogs and that seems to clog my lymph around my pits. I loved that your last recipe used probiotics and was excited to try it! I used all clay instead of any arrowroot, which I think will work great, but I used way too much because I was afraid it wouldn’t be solid enough and it turned out mostly clay so it is a little too drying and itchy. (lol) SO, now I want to try it again and maybe with oregon grape root! I haven’t had good luck but I’ve only tried one recipe so I’m excited to try this one out!! I’ve never made my own deodorant but want to try it. I’ve never made my own deodorant, but I’d love to try. It’s always seemed a little ingredient intensive; ingredients that I don’t necessarily have easy access to, especially as a student. I’m definitely going to have to try this someday soon though! I have never tried making homemade deodorant. This recipe looks like a good one though, I think I might give it a try! I have been making my own deoderant for the past 6 months, I use coconut oil, arrowroot powder, baking soda and essential oils. I have been very happy with the results, even after a long run on a hot day! I have made my own deodorant a few times, with different recipes every time, without success. I am apparently VERY sensitive to baking soda. After a day or two of using it, I get a terrible rash. I am so happy to see a recipe without it! Thanks!! I would love to try this! My current blend works in the spring/fall/winter or in the a/c (which I don’t have) but fails miserably in the summer out in the garden. I have made a lot of things using herbs and essential oils but I have not had a recipe for deodorant before now. It will be interesting to try it. Not yet, but I plan to soon. I have never made anything like this. What an awesome idea! Thanks! I have made my own deodorant, and still do! This is a different recipe and looks like it would be fun to try! Jeez, I would love to try to make my own deodorant. But since I just quit my day job to do massage full time and my business isn’t exactly booming yet, I can’t really afford to buy stuff I don’t absolutely need yet. But I plan to purchase this stuff after my business gets busier. Thanks so much for posting. I love this site. I have saved many recipes for homemade deodorant but never tried any of them. I never have all the ingredients. :0| It woutd be a great help to win this giveaway. This is on my to-do list! I would love to win the ingredients! I tried once making deodorant with baking soda, shea/cocoa butter and tea tree oil. It came out terribly, stunk all by itself when it was on, and didn’t work worth a darn. I’ve been very interested in trying it again, probably with the probiotic (and maybe now the grape rot powder), and definitely no tea tree oil, I just think it smells terrible. Starting to gather up the supplies, funds have been low. I love my homemade deodorant! I don’t use quite as complex of a recipe, but this looks wonderful that it can be used like a stick. Thanks for sharing! Thank you! Will have to try this one. Can’t use the baking soda based deodorants, too irritating! I have to try this! I had a reaction to a homemade deodorant recipe, my skin was literally peeling off! Very strange indeed. I have been looking for a new recipe, and this is it! Thank you SO much! I have been using a homemade deodorant – cornstarch, baking soda, coconut oil and lemongrass essential oil – it works great!!!!! I would love to try another one. Everyone’s body is so different and what works for one may not work for all. I am very interested in making deodorant as well as other face and body products. Thank you for sharing your recipie. no, i haven’t ever tried to make my own deodorant, but i’ve looked up a number of different recipes to try to find one that will work for me. I have never tried to make my own deodorant, but would like to. I am going to try this soon. I am allergic to so many things and to know what is going into my deodorant would be a BIG plus on my side. Thank you for the recipe. I have made my own a couple of times and liked it but I am having trouble reusing the old containers! I make my own deodorant all the time and love it! I just made my own this summer with Arrowroot, Baking soda, Coconut oil, and Essential oils, but I’m not a huge fan of it. When I use it up, I’ll give your recipe a try! It looks like it would stand up against the heat better without melting, and wouldn’t give me coconut oil shirt stains from dripping. I have never tried making deodorant before, but its something I would like to try to do someday. I have tried several different recipes now and all of them have broken me out. I am very excited to try this one! I currently use the probiotic deodorant recipe on this site and I love it! I have tried to make my own deodorant, it turned out ok a little sloppy. I have to rub it in or my armpits will be a brownish color from the bentonite clay. I would love to try your recipe!! I’ve never made my own deodorant, but have been becoming more and more concerned about the chemicals in everything we put in and on our bodies. I would love to be able to try this, too. Thanks for sharing your recipe! I make my deodorant a little different then this one but I would love to try this recipe out. I’m on my second homemade bottle of deodorant and love it! I have used a baking soda based homemade deodorant for the past 18 months. While it works very well, my armpits have developed a terrible sensitivity to it; they’ve darkened, and itch terribly so I only use it when I leave the house for longer than a couple of hours.. I simply will not go back to commercial deodorants because they are so bad for me, but I need something that will keep odor at bay. This recipe will do the job,hopefully, so thank you for sharing. I have made my own and I liked it but it didn’t work for my husband. Would love to try this one! Thanks! Although I make my own deodorant I would like to try a recipe without baking soda, which can be irritating after shaving. I’ve never made my own deodorant, but have been looking into it as we transition to a more natural lifestyle. Thanks for the chance, this would really help out! Yes, with just coconut oil, arrowroot powder and baking soda. It irritates my underarms, though, so I would love to try this recipe. I never have, but I really want to try it! I have never tried to make my own deodorant, but I have made my own soap, lotion, body scrub and shower gel…. so I am SUPER excited to find out about a way to make a natural deodorant too! I’ve never made my own deodorant before, but I do the no ‘poo/CG method for washing my hair, and switched to castille soap for a more natural alternative soap… definitely want to invest in some yummy handmade raspberry soaps I’ve found on etsy. I just… feel better when it’s natural. I haven’t made my own deodorant before, because I’ve usually been turned off by having to keep it in the fridge. I love that this recipe is shelf stable so I am definitely going to try making this! I have tried several times to make a successful batch of deodorant, all of the recipes I tried called for baking soda which really bothered my skin, I am very excited to try the recipe you posted to see how it works for my sensitive skin! I love your website and totally love, love mountain rose herbs! I have never used home made deodorant but I am so excited to make and try this recipe. Thank you so much for the giveaway. I’ve seen so many homemade deodorant posts lately– looks like I’ll have to try it. I haven’t tried yet, but I sure hope to!! I have been using my own homemade deodorant for a few months and Love it. I kinda messed up on getting the right feel for the tube. But it is so silky with arrowroot! Love it and MTn rose too. I have tried to make natural deodorant with coconut oil, and baking soda but I was too sensitive for it. I really wanna try this now! I love this idea, I hope i win! No I have not made my own but I sure do want to now that I can see how easy it can be and I KNOW what is is my products!!! Hope I am the lucky lady! Hi, i have never made my own deodorant before. This is my first time on this site and wow!!!! Feels so right!!! yup, made my own. Slightly irritating but works wonders! I’ll never go back! I haven’t tried homemade yet, but it’s on my list. 🙂 Excited to try the recipe! I tried using plain baking soda + water paste at the suggestion of a friend. It worked really well, but it started to irritate my skin after 3-4 days. I really want to make my own, but am balking at the up-front cost. I would so love to win this giveaway! I haven’t tried to make my own deodorant yet but I’m anxious to do so! I’ve been thinking about trying it. Your recipe is pretty daunting though with all those ingredients. A giveaway sure would help! I am so sensitive and have to buy the expensive organic kind. I would LOVE to make my own! Oh my goodness – I have been wanting to make my own deodorant for a LONG time! This would be such an awesome kick start!! Not yet, but soon I hope! I have never made my own deodorant but have been considering it. I would really like to try this recipe! A win from Mountain Rose Herbs would be a fantastic way to try! I haven’t made homemade DO before, but have been meaning to try it out! I haven’t tried yet but am def ready to now, I have started making herbal salves, tinctures, and infused oils for medicinal purposes though, looking forward to getting the personal care items going now. I have never tried to make my own. I have recently started following this blog and am interested in learning how to make my own stuff, clear my home of harsh chemicals, and save money in the process!!! I cannot stand deodorant and opt for TeaTree oil when I get stinky… I am curious about your homemade deodorant and hope to win the contest so we can try to make some ourselves. I’m looking forward to trying this, thank you! I have never tried making my own deodorant… It has always sounded like a big endeavor. But your instructions sound easy to follow and with the ingredients supplied by Mt Rose Herbs, I would live to try. I’ve tried making homemade deodorant twice. Your recipe has more to it and I can’t wait to try it out! The one I like the best now is only for days off and weekends, b/c it doesn’t have enough strength while I’m at work! Thanks for posting your recipe! Never tried it, but I am willing to learn. I’ve tried a few diff recipes and haven’t found the right combination defiantly want to try this one! I made your baking soda deodorant. I really like it but every now and then it gives me an itchy rash so I’m really excited to try this one out! I have indeed made my own deodorant. I am still tweaking the recipe so I am ecstatic to try this recipe. I stopped using deoderants just because of all the chemicals I even get thrown off by the ‘natural’ brands too, this is something I’m looking towards creating! I have been using crystal deos to avoid aluminum, but I’d rather make my own! Thanks! 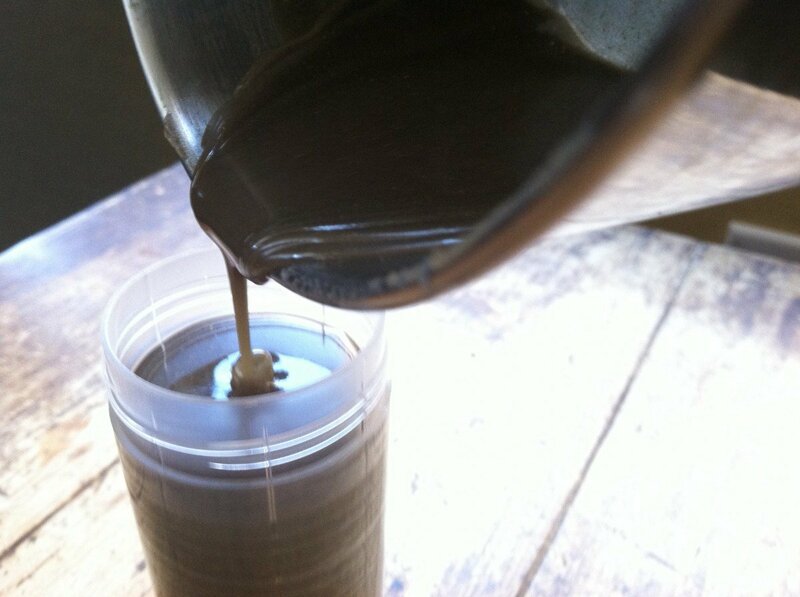 I currently use a homemade probiotic version that smells like a York Peppermint Patty! Yum. But only works for a few hours on me. Eager to try this one. Thanks for a baking soda-free version! Have never tried making our own but sounds easy enough..thank you for the chance to win the ingredients. I would love to try this recipe I have started making a recipe with baking soda, cornstarch and coconut oil but it’s too grainy. Your recipe sounds awesome! I have not tried to make my own deodorant yet but this recipe sounds better than any I have seen. I’ve never tried but would certainly love the opportunity! This is fantastic! i have not, but i have wanted to. I have bought ‘homemade” deodorant from a local lady who makes soap and deodorant. Looks like a great recipe, thanks! Holy smokes, there’s a lot of comments on here!! I do make my own deodorant. Very simple recipe that I found on another Make it Yourself blog. A mix of coconut oil, baking soda, tea tree oil & cornstarch. very inexpensive and luckily i’m not sensitive, so the baking soda doesn’t bother me. It’s a great starter recipe. Although, since it’s warmed up, it’s currently in a liquid form. Still works great tho! I’ve just started making my own deodorant the past month or so. I’ve noticed that baking soda can irritate, but arrowroot powder doesn’t seem to work well enough, so this would be a great recipe to try! I’ve made my own deodorant in the past but it gave me rashes (baking soda and my skin aren’t on speaking terms) so I had to go back to store bought. My friends and family also started using the homemade deodorant when I originally made it and those that aren’t sensitive to baking soda love it and use it daily. I’ve never made my own, but have seriously been considering it for awhile. I’d love to give this a try! Haven’t tried to make deoderant yet, that would be great to make/have an organic/ natural one that worked well for me. Oh this recipe sounds so much better than the other homemade deodorant I tried (didn’t work for my wimpy pits). Thanks for the opportunity to win the ingredients! Never made deodorant, but I have made soaps and stuff. I avoid buying deodorant that has aluminum in it, but I still want to get away from all that other bad stuff. So this would be nice to try! I tried making a deoderant with baking soda and it irritated my skin, although it worked really well. I would like to try this. I have not yet made my own homemade deodorant. I have been researching it and found myself hesitant to buy all the ingredients if it did not work. Thank you for the recipe! I’ll check my local homeopathic pharmacy to see if they carry some of this. I make my own with baking soda and coconut oil, but have found the baking soda to irritate after shaving or too many days in a row of use. This would be WONDERFUL! I recently purchased your shampoo bar and vinegar rinse from your Etsy store, and I LOVE them both. Thank you for making and sharing such great products! I have never tried but i would love to try it!! im trying to make all kinds of new items that i can use that will do good for my family and not bad.. and i cant wait to give this a try.. we have sensitive skin in our family. I have made my own deodorant before. I used coconut oil, baking soda, and cornstarch. It works better than the store bought stuff, but I think something about it is slightly too harsh for my skin. Would love to try this recipe! No I haven’t, but I have been wanting to. Never have, but I really want to! I have tried “natural” deodarants and found that they end up making me smell rather funky. I’d love this. I tried to use homemade deodorant with baking soda and corn starch and I got a rash. This looks so easy to make, I’ve been using store bought natural deodorant but would love to try making my own- thanks for sharing this how to! I’ve been using homemade deodorant since February, but just within the last coupla weeks, I’ve become very sensitive to it, and now my armpits HATE me!!! I’d love to try another homemade alternative!!! I have never made or used homemade deodorant. However, my son has a very sensitive skin and recently commented to me that the new natural variety deodorant that he is using is causing itching (it does contain baking soda). I will try this recipe for him and I have a feeling that it is going to be a worthwhile effort <3 ! I’ve never tried to make deodorant before. I have wanted to, but I used to be an avid couponer and ended up with quite the stash, so it never has made sense to yet, money-wise. I know health-wise it does. I just haven’t taken the plunge. If I win this I will do it right away! Thanks! I have never tried to make my own natural deodorant but have been looking for a recipe. This one sounds like it would be a good one. I will be trying this soon. I’ve already made your previous deo recipe and I LOVE IT! This recipe would be wonderful to have as my children grow and need deodorant :0) It would also be lovely to give as gifts! LOVE your blog, keep up the wonderful work! I have never tried to make homemade deodorant, but I have been thinking about it for awhile. I haven’t worn deodorant very often at all in the past couple of years. I usually don’t need it but I would like to try this for the times that I do. Thanks. I have not yet tried to make my own deodorant, I would really love to, but need to do a lot more learning to find products that won’t set off my allergies to many tree nuts, plants, and fruits. What a great giveaway, I love Mountain Rose Herbs. Thanks for the opportunity. deodorant and soaps. Thank you for the offer and of course the recipe. I’ve been buying Tom’s, but I would love to make my own! When I run out of my arm and hammer stuff, I’m trying this! I am desperate to make my first batch of homemade deodorant! I haven’t but have been wishing for a recipe. Yes, I’ve tried making my own. Baking soda was in the recipe, was irritating to my skin. I am finishing the last of my store bought one and collecting ingredients to make homemade deodorant for the first time. Your recipies are always easy to follow and give courage to try. Thank you! Where has your blog been all my life..
I’ve never made homemade deodorant, but I’d like to try. I’ve been working on transitioning to more natural products, and this would be perfect. Thank you! I haven’t tried to make my own yet….. Looking forward to trying! One of my suppliers makes organic deodorant, but not sure if all these ingredients are in her recipe. Still, it sounds easy enough to make on my own. I haven’t made my own deodorant yet but really want to try this recipe! I have not tried to make deodorant, I did stop using commercial deodorant and have been using coconut oil for my skin care issues. I love the idea of adding the essential oils and bentonite clay. I have never tried to make deodorant before. I am excited to try it. I haven’t tried to make deodorant, but want to. I am looking to remove as many toxins from my environment as possible. This is awesome and I would love to give it a try. Looks wonderful! I’ve never made my own before, but now I’m ready to try! Yes, i’ve tried making my own deodorant before but it never seems to work for me. Apparently, nothing works for me except perscription strength stuff and I really hate that. Oh, and I’ve tried two different recipes. I’m hoping this one works better. I haven’t tried to make deodorant yet but would love to try, thanks for all of the concocting and testing that you do. I’ve tried a couple times. I thought it was the essential oils that I might have been sensative too but now in reading, learn it may have been the baking soda. I have used pure cold pressed CO with good results though too but I like the use of clay and grape root in this one and would like to try it. I just hate wasting product when it turns out it wasn’t suitable for my sensative skin. Never tried it, but have used natural deodorants that haven’t worked! Would love to find one that does!! Thanks! I haven’t but the more I read, the more concerned I have been about using deodorants (and sunscreens for that matter) and I know I should try something besides the deodorant rock I bought once upon a time that didn’t seem to work. I’ve never tried to make my own but I LOVE the probiotic deodorant you make. It works wonderfully for me and my husband. We have both put it to the test: splitting wood, aerobics and setting fence posts etc. I’ve only gotten so far as sprinkling baking soda under my arms–which works pretty well for about 2 hours. I sweat A LOT. Would be interested in trying this! I should say, I sweat A LOT AND have very sensitive skin, so any deodorant that works makes my skin very itchy. 🙁 So, I would love to give this a try! I am a liberal sweater also. I am leery of the AL filled deo. So, I tried to make my own deo as well and it worked great but it had baking soda in it. After a bit of time, I got some redness and a little raw. ; ( I wanted it to work. I ended up buying some at my farmers market that has zinc oxide in it. I have been using it for several weeks and I love it. However I would love to try to make my own. I love DIY! I just learned how to make soap last weekend! I’m super excited to try your deodorant recipe. We’ve not been very happy with products from the stores as it seems like the brands we used to really like have changed their formulas. ps: My husband and I love Mountain Rose Herbs, too! I have not yet made my own deodorant; not because I don’t want to but because funds are limited right now. I will be making my own deodorant, hair care, skin care and oral care products as soon as funds are available. I would love to try this! making my own deo is not something I have tried yet, but have been wanting to for some time. I haven’t ever tried to make my own, but I would def try if I had the ingredients! I currently have your pro biotic jasmine scent one and while I really like how well it works I have been noticing some irritation lately. Never really thought of my skin as sensitive but I suppose as we age our bodies have a way of changing on us like that, lol! This looks amazing I cant wait to try it!! This looks wonderful! I have been using a homemade deoderant for the past few months-I would like something that my hubby would be willing to try too, and this looks great! I had always intended to make my own, but never got around to finding a fabulous recipe and actually doing it. I think I’ll definitely give this one a try! This is a great recipe! I have made my own, but a really basic one with baking soda, cornstarch, and coconut oil. Nothing I have ever made has worked worth a hoot. I’m looking forward to trying this! I’d love to try this recipe!! Just ordered some EO’s from Rose Mountain Herbs and eagerly awaiting them now!! I’m Pin-ing this one! Thank you for sharing! We switched to homemade deodorant several months back and love it. It’s one of the simpler recipes, though, and I’d love to try this one. I never have tried, but I’d love to! Can you use an oil besides coconut? I am allergic! awesome! I have been looking for a recipe that isn’t loaded with baking soda and that works! hmm, would love to try this. Is there an alternative to shea butter for those allergic to it? Or could it be omitted? I have made DO with coconut oil and it stained my favorite shirts. I don’t make and use it anymore as I have no desire to buy more clothes. Is there anyway to get the stains out? I’m using one with veg. glycerin, water and essential oils. need to find the recipe. It’s a spray on one and doesn’t stain. It works pretty well for me working in the extreme heat. I have never made homemade deodorant, but I really want to!!! I usually use baking soda mixed with arrowroot powder for my deodorant, but I would love to try this! I just recently found the mountain rose site and it is like a candy shop full of goodies. I would love to try this recipe. Thank you. I haven’t yet tried to make my own deodorant. I have made my own homemade deodorant before using coconut oil, baking soda, arrowroot powder and some essential oil and it worked great. I would love to try this recipe! It looks awesome! I have not tried to though, I made your sunblock stick recipe. I have tried to make my own deodorant, but it was a bit too oily and left some spots on my white shirts, looking fwd to trying this version! I’ve been using a Crystal Stick deodorant for the last eight years. I keep learning new things I can make myself and be healthier and save money so this will be my next venture. Keep bringing the ideas! I have attempted to make it before, but only with dry ingredients and a bit of oil. Never could get it right! This looks perfect! tired of paying 6 – 8 dollars for natural deo sticks we may or may not like! I have been making our deodorant for about a year- I LOVE IT. I’m looking forward to trying other recipes as the one I use is very simple. I’m intrigued by the ingredients and concentrate of this mix!! I’ve tried several times. I always end up with black skin in my armpits so hopefully the sensitive skin recipe you posted will work. I’ve given up until this. Thanks! Just wanted to update…this comment is so far down I don’t know that anyone will see it, but I give this a 4 thumbs up rating! I made the recipe without the grape root (I don’t have any but had all of the other ingredients) but substituted ground grape seeds from some grapes we’ve been eating. I dried them in the microwave, ground them up by hand and powdered them in a grinder. (In the hope that they might have some of the same benefit as grape root. I often substitute ingredients like this and although I realize it’s a long shot, I also know it can’t hurt. (Right?!)) Anyway, my husband tried the deodorant…and he digs it. (Yes!) He even likes the scent I used for my own stick! (Eucalyptus and grapefruit) It doesn’t get to any majorly soaring temps here in North Idaho, but it’s been in the mid and high 80’s this week, which, for our cold-weather thick blood is HOT! And this deo has been a WONDERFUL success! I’ve tried lots of other recipes with only marginal and crumbly success…and this is absolutely wonderful. Thank you so much for this recipe. Your blog has become my go-to source for almost all of my health care recipes. THANK YOU!!! You are saving us money on products, packaging and most of all…future health care bills. THANK YOU!!! i’ve not made deodorant before, but am certainly interested! I make my own deodorant with coconut oil, baking soda, potato starch and essential oils. It looks, smells and works just like deodorant. I would LOVE to try this recipe! I’m on my second batch of homemade deodorant (a little different from above recipe) and we love it! Saves money and so much healthier! Love the addition of Oregon grape root. I made some with baking soda but it was gritty. If you don’t have Oregon Grape Root, what can you sub? I just found your site last night and am really impressed. I wish I had found it earlier. This would have been a great giveaway to win. I can’t what to try this recipe as well as many others that I have looked at. I am looking forward to seeing what else I can learn from you! Oh I would love to win this! I like the idea of making my own deodorant that doesnt have all kinds of icky ingredients. I’ve been using your recipe for quite some time now. I don’t have sensitive skin but I wanted my stick to have more texture…and I’m not crazy about adding bees wax to get it there. Adding the clay was perfect! I still use baking soda and arrow root but that one extra ingrediente was all that was missing. Perfect! I have French Green Clay on hand but not bentonite. Think I could get away with using the French Green? I tried some homemade deodorant but it irritated too much, so when I saw your recipe I was excited. Would so love to win this drawing. Thanks to you and Mountain Rose Herbs for this opportunity. I’m heading over there now. I hope this doesn’t leave my armpits dark though – I added peppermint EO, for my hubby and my son, I’ll update in about a week or so to see how everyone including myself like this recipe – we used the ‘regular’ deodorant recipe which calls for arrowroot powder and baking soda equal parts but that eventually irritated our pits and gave us rashes. Hopefully this one works!! Back for the update! So I put this on today, it was a little too soft, my hubby felt ‘freaked out’ by the colour and the texture – Anyway – not a super hot day today, hubby and I walked around the mall for a little bit and at the end of the day, unfortunately this deodorant recipe didn’t work as well in keeping my pits from being smelly as the baking soda/arrowroot powder mix 🙁 So bummed! I really wanted it to work because the other recipe irritates our armpits! When does the drawing happen? Just curious :). I absolutely LOVE this recipe. When I first started experimenting with homemade/all natural beauty and skin care I used a coconut oil/cornstarch/baking soda deodorant that left rashes and burns on my sensitive underarms. After using this recipe the first time I was totally SOLD and have been using it for months now. I finally convinced my sister, who is freaked about getting B.O., to try some of mine and she raves about it every day now! This holds up even when running, hiking and doing other types of high intensity physical activity. Thank you Andrea! Has anyone tried this with Kaolin clay? So I tried this recipe after discovering my husband having a sensitivity to the basic baking soda, arrowroot, and coconut oil recipe. Did anyone have issues with odor? My husband loved the way it went on but he smelled worse than going without deodorant???? I followed the recipe exactly and just curious if this just isn’t a match for his body chemistry? So after the poor man going without deodorant for a month I finally made a simple recipe with only coconut oil and arrowroot powder. He says it goes on smoother than any of the previous attempts and works for 48 hrs. Also I forgot to mention that I have not tested this myself as I am expecting and Oregon grape root powder is not safe for pregnant woman. Just a note for those who may be expecting….. I would love to try this but the ingredients are not easily accessible. I tried the baking soda and coconut oil but that mixture causes my skin to become black and scaly. A lot of homemade and clean product seem to be using the clays. When I did a content research found on mountain rose website, they contain aluminum. I didn’t think that was healthy and that we wanted to avoid this. Can anyone help with this? I would like to make this deodorant vegan. What could I use in place of the beeswax? Thank you! If anyone is having a hard time finding Oregon Grape Root powder for a reasonable price, I found capsules at my local vitamin store. (You just break open the capsule straight into your mix). One capsule has exactly 1/4 tsp of powder, so it worked perfectly. I got 90 capsules for about $7. Can this be made without Grape Root Powder? If so, what adjustments need to be made. What is the purpose of Grape Root Powder? Thanks! I love your posts and recipes! It’s never even occurred to me to make my own deodorant, yet I spend time combing through natural options and getting frustrated. Love it!